Rasmus the Teddy Bear and Hans are friends. They love to stop in the ice cream kiosk. 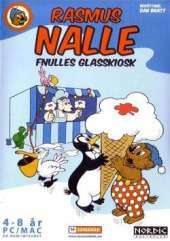 Fnulle has the best ice cream so he happily shares with everyone who comes.